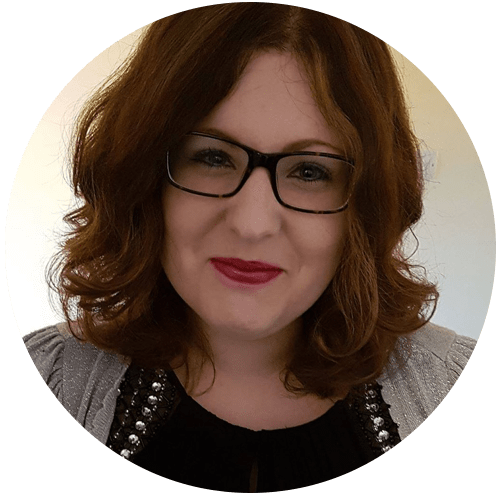 A few weeks ago I sent an email out to my email subscribers asking for inspiration for my next free printable. 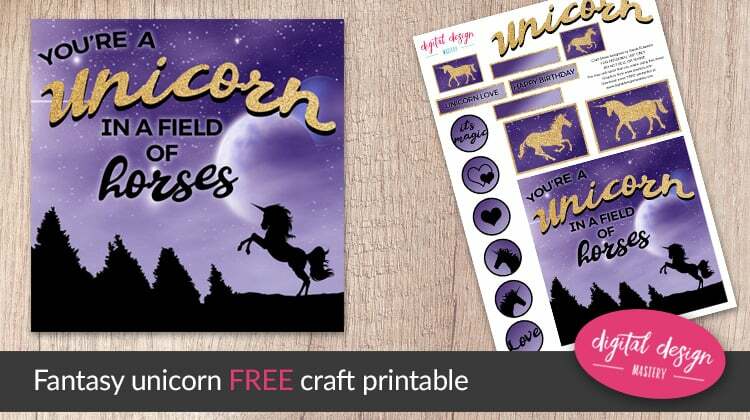 Several people suggested unicorns or a fantasy themed design. 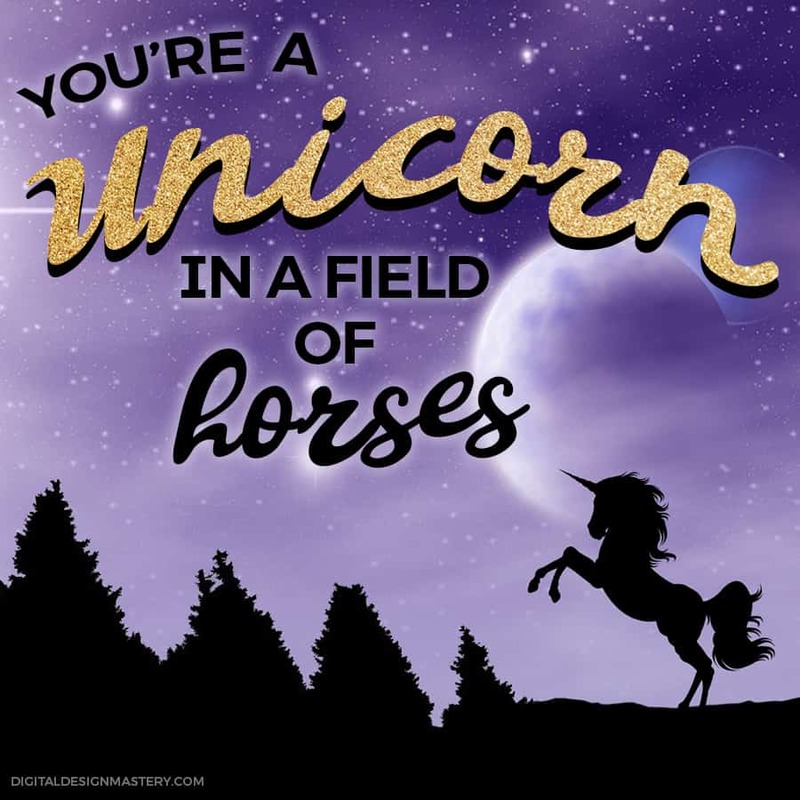 I’ve combined them both to create this purple and black fantasy scene with a majestic unicorn silhouette. 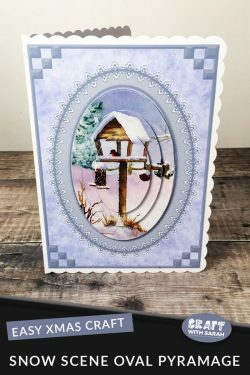 The card front measures 5.5 x 5.5 inches, making it perfect for your 6×6 inch cards as it allows for a little gap around the edge when you mount it on to your card blank. 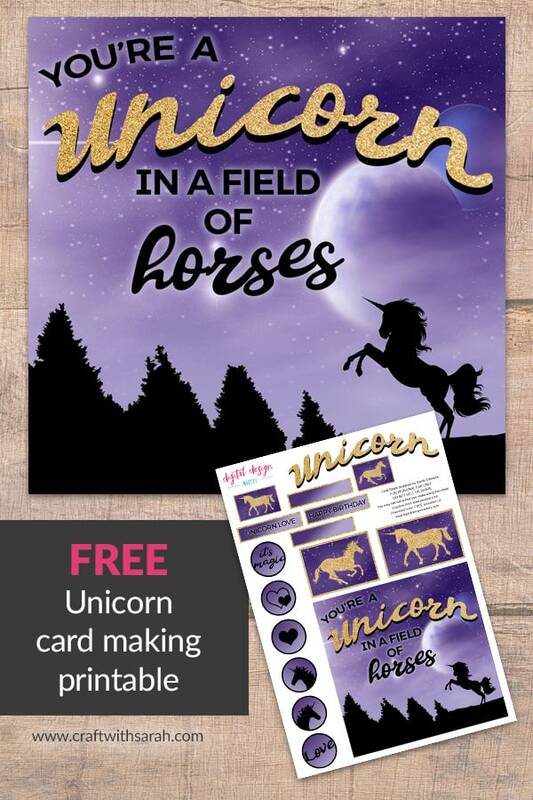 The “unicorn” word has been cut out from gold digital glitter which adds a real touch of luxury to the card front. 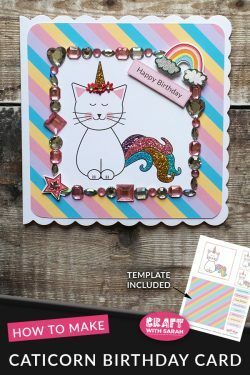 A range of glitter unicorn card toppers and tags, sentiment/word toppers and circular badges are included on the craft sheet to allow you to customise your card and create something unique. 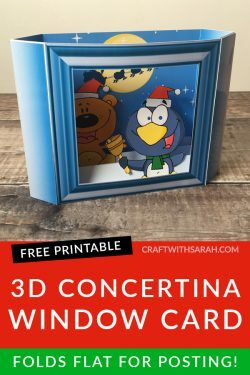 You could even use some of the extra embellishments to decorate the inside of your card, or to create a matching envelope. 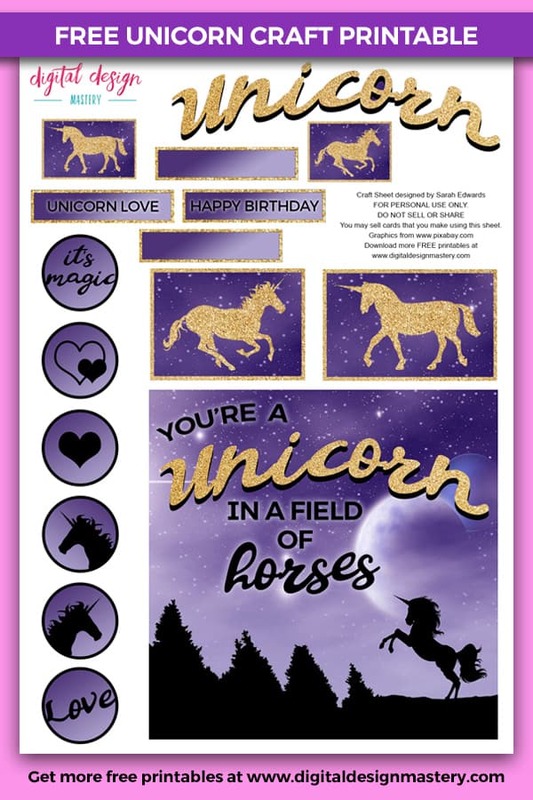 Please take a second to share "FREE Printable: Unicorn Happy Birthday Card" on Pinterest.